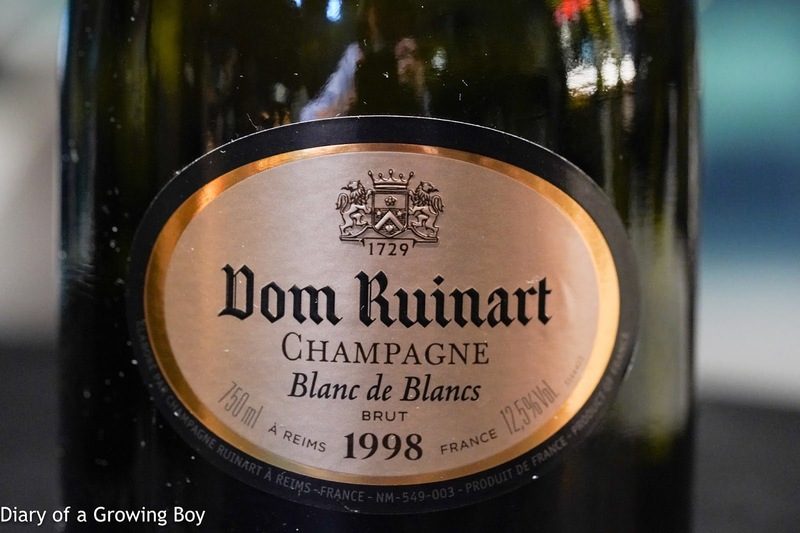 1998 Dom Ruinart Blanc de Blancs La Réserve, dégorgée en juillet 2016 - very toasty, fragrant, and nutty. 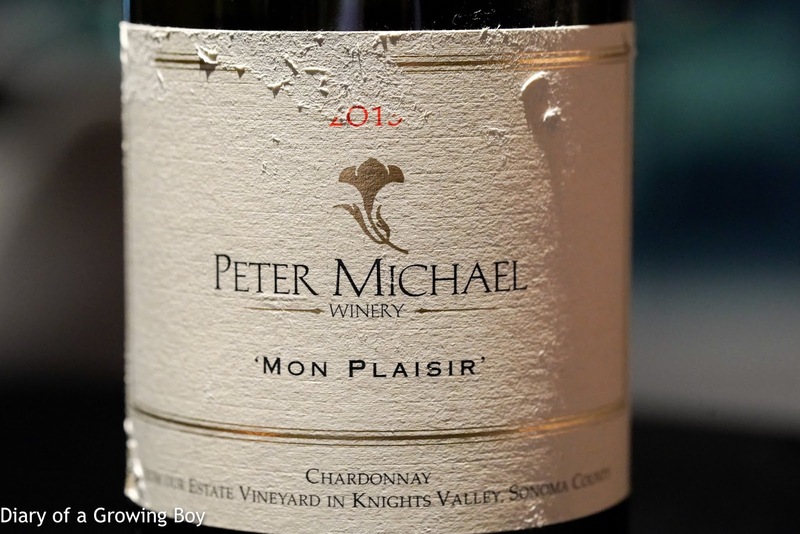 2013 Peter Michael Chardonnay Mon Plaisir - overripe and bitter on the palate. Not happy about this. 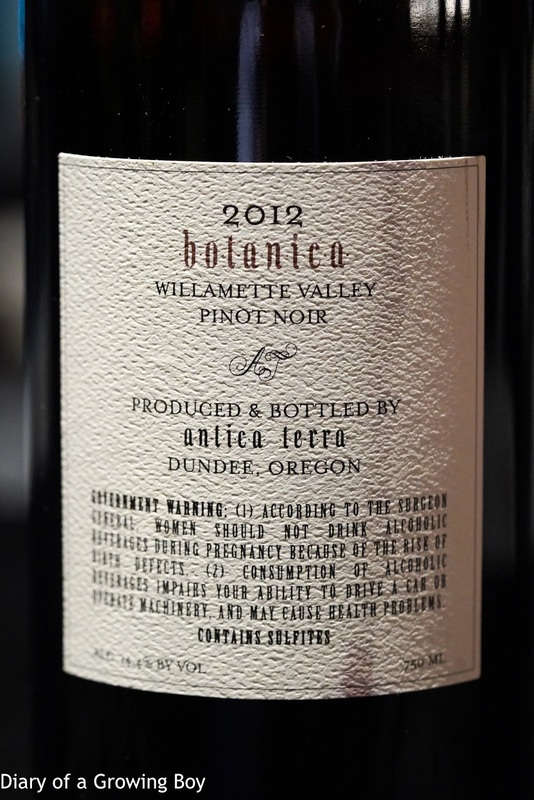 2012 Botanica Pinot Noir - very fragrant and elegant, with ripe fruit but not jammy. Some spices here, and almost a little bubblegum. 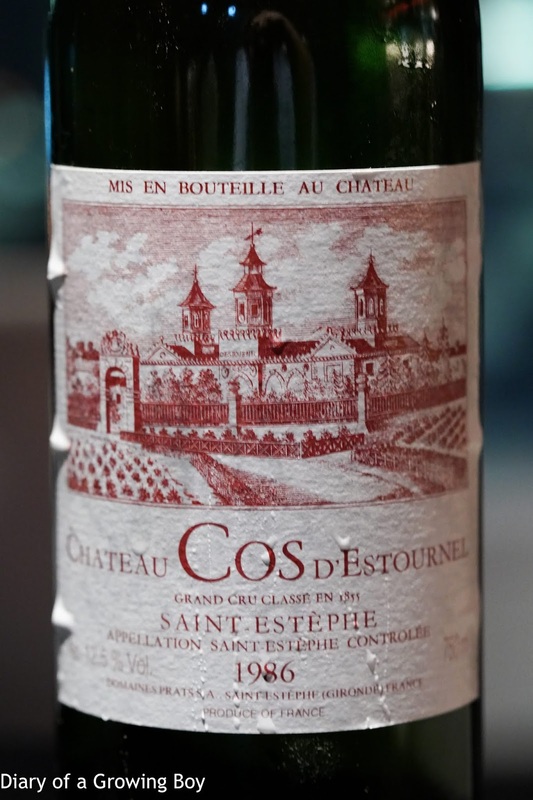 1986 Cos d'Estournel - served 2 hours after opening. 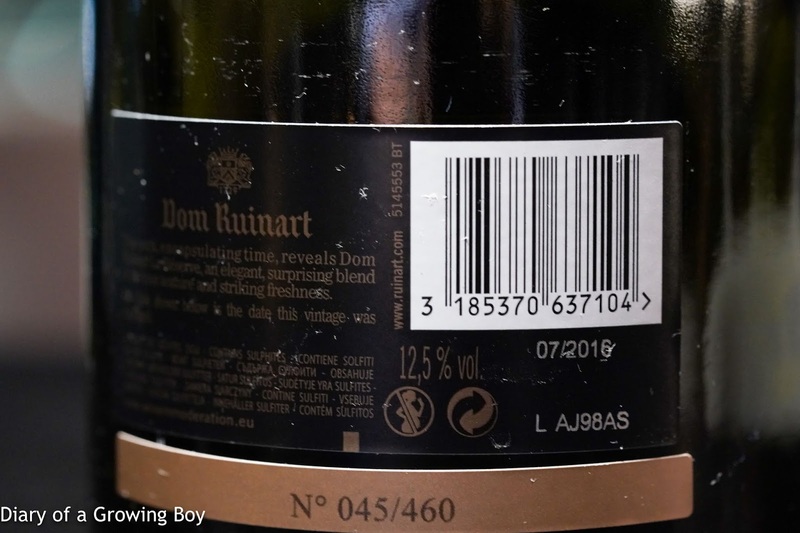 Classic, aged claret. 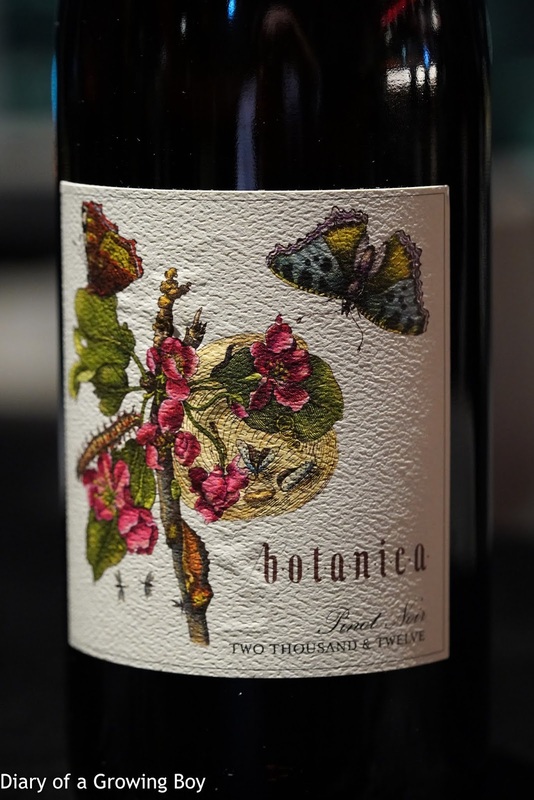 Very soft and smoky, slightly medicinal/brett, grassy, leather, stewed black fruits, and matured wood on the nose.. 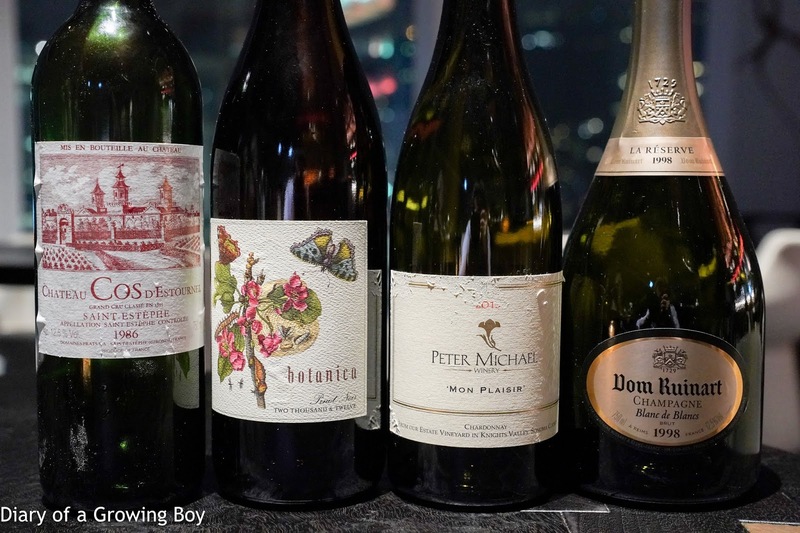 Pretty decent and not bad at all.